For us, this Autumn and Winter is all about rich palettes, clever layering and contemporary updates on classic shapes. Dive into the collection here, or explore the key trends down below. Warm up your summer staples and master the layering trend with key colours and pieces. Add a pop of colour to a black wrap [drape/side drape] dress with a deep plum roll neck top, or smarten up a shirt dress for the office with a pair of the perfect black trousers. Our new season handwoven graphic stripes are the multi-purpose pieces on the classic pattern you’ve been waiting for. Handwoven in organic cotton, directional panels and contrast pockets will set you apart this season. Whether you like your knits big and chunky, or sleek and snug, our hand knitted pieces are an AW essential. The classic knit styles cable, herringbone, and fair isle have been recreated in contemporary shapes and unisex styles. Athleisure is the trend that’s here to stay. 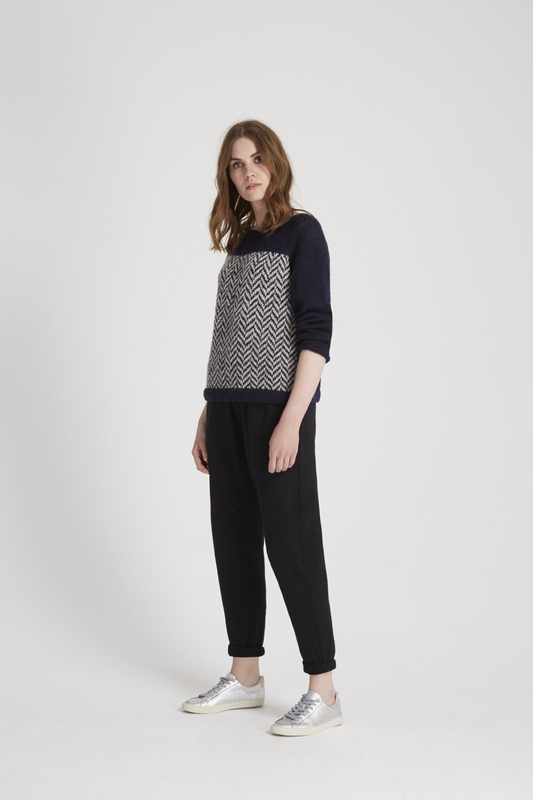 The slim cut shape and dark colour makes the Tasha Jersey trousers perfect for dressing up or dressing down, and zip pocket details of the Mandy Fleece trousers smarten up this easy basic. 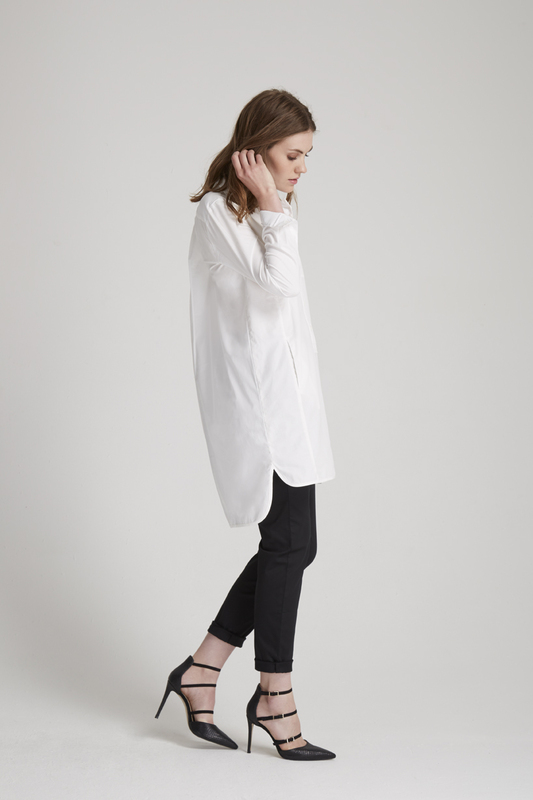 Roll up the cuffs and style with a sharp shirt and a strappy heels for the office, or dress down with some trainers and a comfy organic cotton tee. Alternatively, wear the soft cotton jersey in an easy sweatshirt dress – perfect for weekend errands.